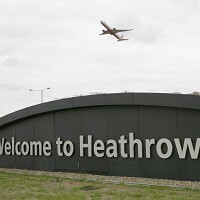 The number of flights at Heathrow Airport should be increased to provide a short-term solution to the UK's air capacity crisis, business chiefs have declared. They claimed Heathrow could support an estimated 10% more flights while reducing delays. They also called for greater noise protection for residents living near the west London airport. In addition to travel insurance, holidaymakers need to carefully consider the cost of flights. Business umbrella group London First made the recommendations in its submission to the Whitehall-appointed Airports Commission, which is due to make its final report to the Government in the summer of 2015. It said priority must be given to finding ways of increasing flights through more intensive use of existing runways in the absence of any long-term strategy to build new runways. It believes London's two other main passenger airports should be freed from economic regulation by the Civil Aviation Authority. It said Gatwick and Stansted could attract more airlines and passengers if existing price controls were abolished and rail services to both were improved. London First's chief executive Baroness Jo Valentine said the growing economic cost of deferring new runways is already too great and it will not be halted without decisive action.